Healthcare should be simple, fast and uncomplicated. 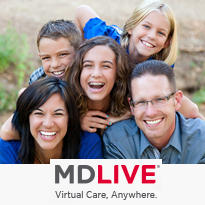 MDLIVE makes it easy to visit a doctor in minutes through our mobile app, online and by phone. 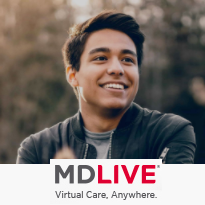 Get access to quality healthcare without ever leaving your home, your job or wherever you are. Find out how easy it is to receive affordable, quality care without traveling to the doctor’s office! Visit a doctor or pediatrician by mobile app, video or phone. 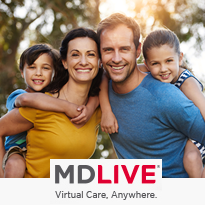 Get access to quality healthcare without ever leaving your home, your job or wherever you are.